The new UltraFico score will be tested early next year with credit-reporting bureau Experian and offered as an option to consumers whose traditional credit score alone would not qualify them for a loan. Consumers with less-than-stellar or borderline credit scores may soon have a new option to help them qualify for loans and credit cards. Fair Isaac Corp., creator of the widely used FICO credit score, said it would test a new score that considers a borrower’s bank-account balances and cash-management behavior as a supplement to a traditional credit score. The new score, UltraFico, will be tested early next year with Experian, one of the three big credit-reporting bureaus, and offered as an option to consumers whose traditional credit score alone would not qualify them for a loan. People who have strong credit scores shouldn’t need to consider UltraFico. “It would most likely be used as a second chance,” said Sally Taylor-Shoff, scores vice president at FICO. Credit scores are three-digit numbers that lenders use to evaluate a borrower’s ability to repay a loan. The higher the score, the less risk the lender faces. 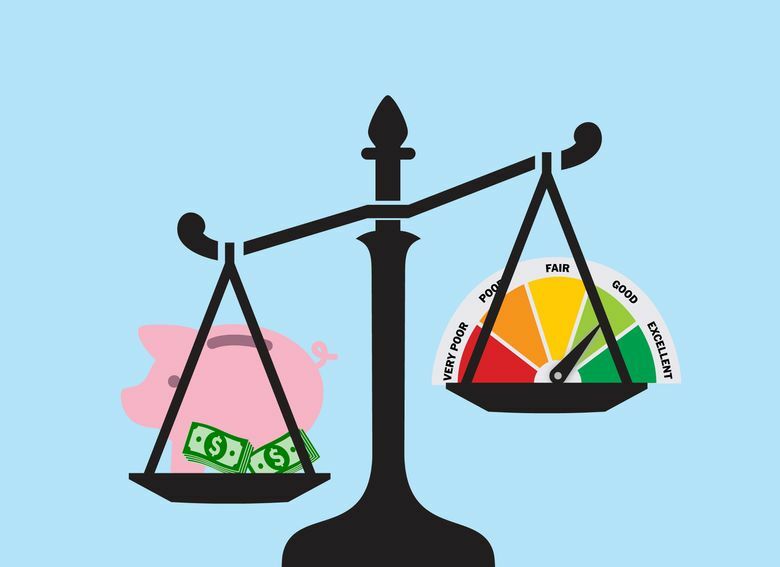 Basic FICO scores range from 300 to 850, with 700 and above considered good. The average FICO score has been rising in recent years and stands at 704. Traditional credit scores are based mainly on a borrower’s history of repaying mortgages, loans and credit-card balances. Lenders and card companies report payments to the big credit bureaus — Experian, Equifax and TransUnion. The bureaus then use formulas from FICO, or other models, to distill a consumer’s credit file into a score. The new option, FICO said, will be most helpful for customers who have scores from the upper 500s to the low 600s — sometimes called “subprime” — or fall just below a lender’s score cutoff for a given loan. People who will benefit the most are those new to credit — say, young people with a limited credit history — or those who hit a financial pothole and are rebuilding their credit. Lenders must obtain a borrower’s permission to collect information about their cash-management habits and create an UltraFico score, Taylor-Shoff said. Applicants with at least a $400 average bank-account balance, and no history of negative balances, are most likely to benefit. The new score takes into account factors like how long accounts have been open, the frequency of activity and evidence of saving. FICO and Experian are working with the technology company Finicity to digitally gather borrower bank-account information. Companies have used such technology for years to aggregate bank-account data for online budgeting tools, like Mint.com, she said. Lenders get a summary of the applicant’s bank-account profile, Taylor-Shoff said. Details like whom you write checks to aren’t shared. One reason for a pilot is to gauge the “willingness of consumers to share financial data” in exchange for a higher score, FICO said. Some financial companies are using underwriting systems that factor in deposit-account information. A startup called Petal, for instance, supplements traditional credit scores with an analysis of a potential customer’s bank account when evaluating credit-card applications. Chi Chi Wu, a lawyer with the National Consumer Law Center, said bank-account-transaction data “definitely has a lot of promise” as an alternative scoring method, so long as consumers have true control over whether to share information and what level of detail is shared. Katherine Lucas McKay, a program manager with the Aspen Institute who is focusing on consumer debt, raised the issue of how the new scoring model will interpret the added bank account data. The move by FICO comes as lenders are seeking new customers and as new financial technology companies are offering alternative ways of assessing consumer creditworthiness. “This is all about giving banks a bigger pond to fish in for customers,” Matt Schulz, chief industry analyst at CompareCards.com, said in a statement on the scoring option. It’s not clear if the other two credit bureaus will eventually offer UltraFICO along with Experian. TransUnion said in an emailed statement that it “applauds all efforts that promote financial inclusion and expand economic opportunity.” Equifax didn’t respond to a request for comment. Q: How much of a boost can my credit score get from UltraFico? A: Some borrowers may see an increase of 20 points or more, Taylor-Shoff said, depending on the details of their financial profile. Q: How can I improve my traditional credit score? A: Credit experts suggest paying your bills on time each month, keeping your credit-card balances below the card’s maximum and limiting the number of new accounts you open. Q: What lenders and institutions are using UltraFico? A: FICO identified Pentagon Federal Credit Union, one of the largest credit unions, as an institution interested in participating in its UltraFico test, but declined to name others. PenFed, through a spokeswoman, said it is too “early” to comment. FICO expects to make the new score widely available next summer.